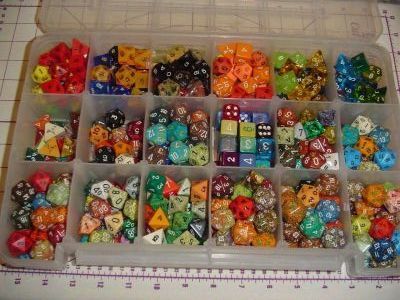 for rpg games. Random weather. Green is spring and fall, brown is summer, blue is winter temperatures. 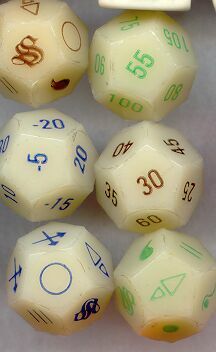 The dice with symbols are for type of weather. The company that made these are out of business. Sold to Mr. Cooke in 2017.